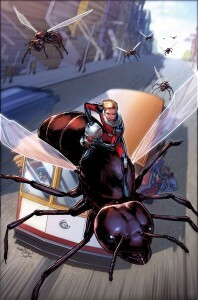 Hank Pym & Scott Lang Unite This July For ANT-MAN ANNUAL #1. It’s the team-up you’ve been waiting for! Just in time for the release of Marvel’s Ant-Man movie, it’s Hank Pym & Scott Lang together again this July in the pages of ANT-MAN ANNUAL #1! Blockbuster Ant-Man creative team Nick Spencer & Ramon Rosanas along with guest artist Brett Schoonover bring you an oversized Ant-Man tale that is ANYTHING but small! Following the shocking climax of the Avengers: Rage of Ultron OGN, Scott Lang has a new mission. Hank Pym left something behind, something so microscopic only another Ant-Man would be able find it! Now Scott must relive a past adventure he had with the original Ant-Man in San Francisco in order to piece together the puzzle of the secret Hank left for him! Plus – don’t miss the long awaited return of a classic Ant-Man villain! Not to mention the debut of a brand-new hero! 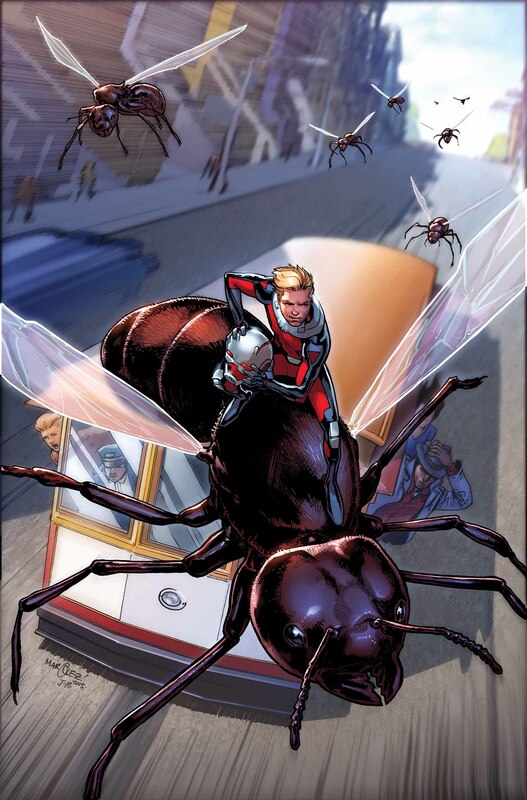 It’s all happening this July in the oversized ANT-MAN ANNUAL #1!